zarinahtakesapaycut: Jail Term - Part 2. Is this the most likely outcome for these two Senior Partners in PwC Malaysia? Jail Term - Part 2. Is this the most likely outcome for these two Senior Partners in PwC Malaysia? PKFZ - Is anyone going to believe the report with Chin Kwai Fatt at the helm? 13th February, 2011 - Sworn documents received from sources show that Chin Kwai Fatt and Khoo Chuan Keat must have known that PricewaterhouseCoopers Consulting Sdn Bhd (464379-U) cannot meet its contingent liabilities as and when they may fall due. As the signatories for PricewaterhouseCoopers Consulting Sdn Bhd (464379-U), claiming that it can meet liabilities as and when they may fall due, they have run foul of the Malaysian Penal Code. 27th January, 2011 - PwC Malaysia media release names PwC partner Sridharan Nair as the man overseeing markets in Malaysia and South East Asia. 22nd January, 2011 - First mention of allegations against PwC by zarinahtakesapaycut appears in the main stream media. 12th January, 2011 - BAT, second major client of PwC to have serious concerns over continued silence of PwC on the allegations. 14th December, 2010 - Genting Group, first major client of PwC to have serious concerns over silence of PwC on the allegations. 29th November, 2010 - Last media release by PwC Malaysia until end January 2011. Departing from their average of four releases/mentions a month. Mid 2010 - MICPA appoints Dato Johan Raslan, Chairman of PwC Malaysia as its President. 13th April, 2010 - Second Finance Minister signs law into effect that allows AOB to collect the fees for the registration of Auditors. 1st April, 2010 - AOB is launched, and immediately registers PwC as a registered Auditor of Public Interest Entities, an act that is a legal and physical impossibility. 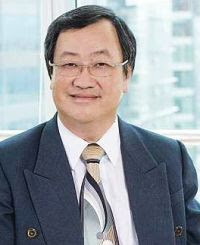 1st April, 2010 - Chin Kwai Fatt sees that PwC's Director gets appointed as the Director of the Audit Oversight Board under the Securities Commission. An act that means that world class auditor regulatory bodies such as the PCAOB of the USA, under which PwC Malaysia is registered, cannot accept the findings of the Malaysian AOB, under their rules. 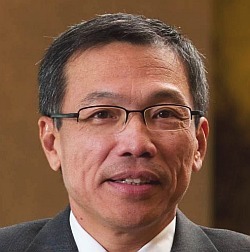 First Quarter 2010 - Khoo Chuan Keat signs a false declaration that PricewaterhouseCoopers Consulting Sdn Bhd (464379-U) can meet its liabilities as and when they may fall due, without disclosing contingent liabilities, or showing that it meets the required solvency tests. An offence under the Malaysian Penal Code. 20th February, 2009 - Chin Kwai Fatt signs a false declaration that PricewaterhouseCoopers Consulting Sdn Bhd (464379-U) can meet its liabilities as and when they may fall due, without disclosing contingent liabilities, or showing that it meets the required solvency tests. An offence under the Malaysian Penal Code. 27th October, 2003 and 29th October, 2002 - PwC Consulting Sdn Bhd (289801-A) appoints 'sham directors' who have nothing to do with PwC Malaysia's consulting business, as part of the sale to IBM Corporation worldwide. PricewaterhouseCoopers Consulting Sdn Bhd (464379-U), the real consulting arm of PwC Malaysia remains under Chin Kwai Fatt, Johan Raslan, Lee Tuck Heng and Khoo Chuan Keat, hiding several hundred million Ringgit in contingent liabilities. 20th November, 2001 - PricewaterhouseCoopers Consulting (East Asia) Sdn Bhd is renamed as PwC Consulting Sdn Bhd (298801-A) to become a substitute for the real consulting arm of PwC Malaysia, PricewaterhouseCoopers Consulting Sdn Bhd (464379-U) in the sale to IBM Corporation worldwide. 2002 - IBM Corporation announce acquisition of PricewaterhouseCoopers Consulting business worldwide for US$3.5 Billion. So begins the long running fraud perpetrated by Chin Kwai Fatt and Co to keep PricewaterhouseCoopers Consulting Sdn Bhd (464379-U) under wraps so that the hundreds of millions of Ringgit in contingent liabilities can remain hidden. 2000 - Chin Kwai Fatt becomes the Managing Director of PricewaterhouseCoopers Malaysia, beating the favourite to the position.